History in NE. & IA. The Branson Mill Craft Village is a unique craft mall. ﻿﻿﻿It has a number of demonstrating crafters who teach their skills as well as my workshops. I was very fortunate to have been invited to demonstrate and present my Scroll Saw Workshops starting in February, 2013. We are now starting our 6th year in 2018. The cost is $88.00 (service no tax) for the 3 1/2 hr session. Please call me at 402-659-7652, and I will help you make reservations. I will return to 'The Branson Mill' again in 2018. Please check our current schedule . Here is a sample of the 'Wood Art' that can be created on the scroll saw. Please click the (Beg. Inter. and Adv. SS info) & (10 Advance SS Projects P.1 or P. 2) to see a complete gallery of the workshop projects. ﻿I am giving workshops that will enable participants to learn these techniques and skills. Please look over the information and photos, then contact me, or contact the Branson Mill or both. 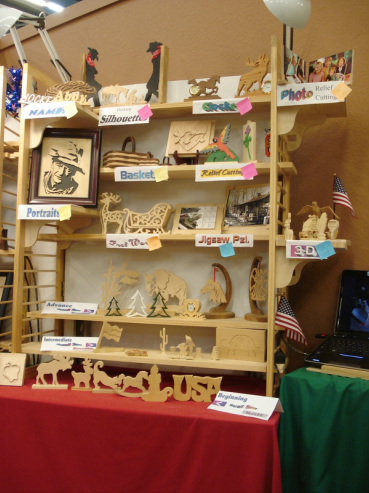 ​Branson is a great place to enjoy your vacation, and if you have an interest in the Scroll Saw, we will arrange for your participation in one of our workshops. They are offered both in the AM or PM. Please click the _(Branson Schedule) button to the right for dates available. The Branson Mill Info & Reg) link will give you complete details for registration and get you set up. The (Contact Me) button will get you directly to my e-mail. My cell number is 402-659-7652. Call if you have questions. That will let you make the contact informing you of the workshop offerings. Sept. 1st 2014-We moved to a much larger booth in the Mill, so take a look and be sure to stop by to see us when you come to Branson.